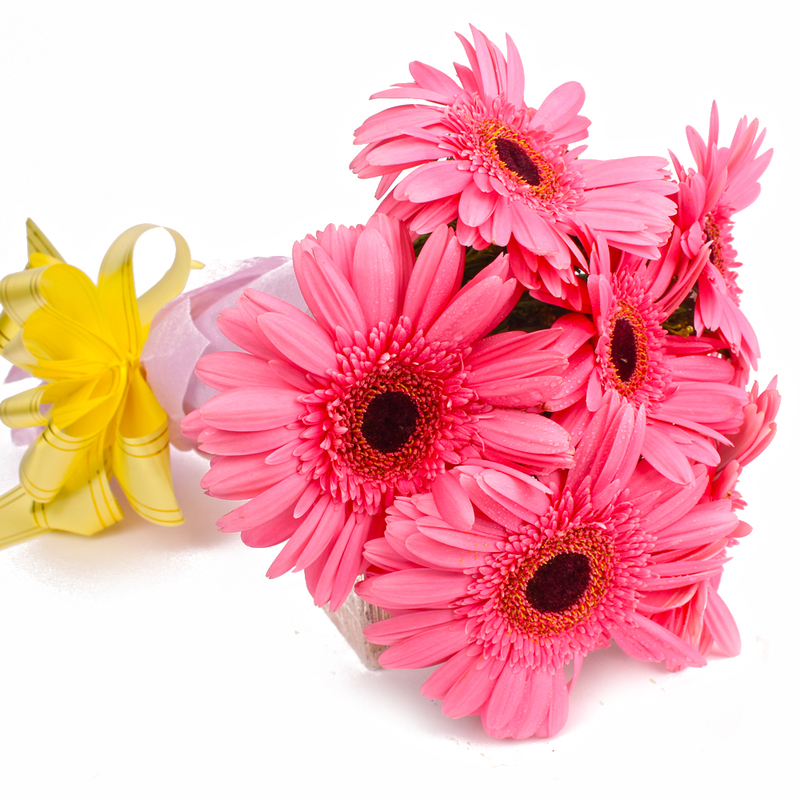 Product Consist : 6 Stem of Pink Color Gerberas with green fillers in Tissue Wrapping with Ribbon Bow on it. 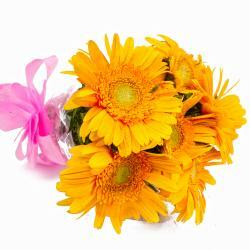 When it comes to a bunch as elegant and soothing as this, you will always find happy recipients no matter what the occasion. 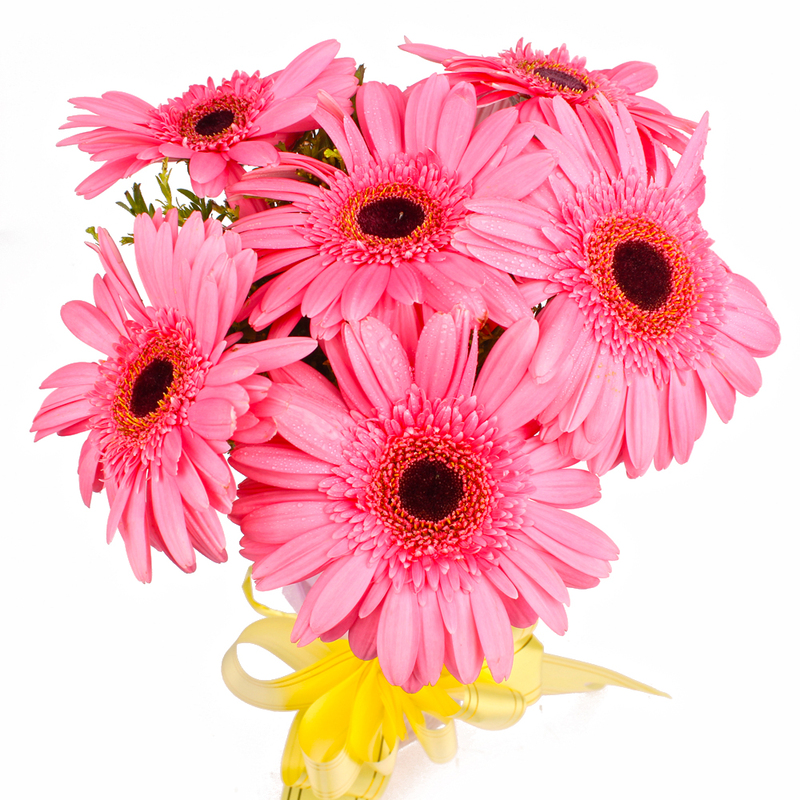 This bunch contains pink gerberas which are bound to be perfect gifts for a variety of occasions. 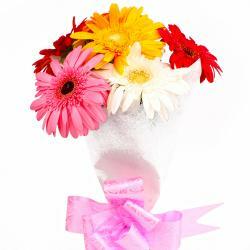 The soothing and pristine color apart, these six stem of pink gerberas are splendidly packed in cellophane with a matching ribbon bow for company as well. 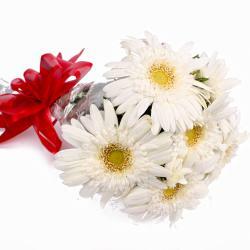 These roses should definitely be a good bet when it comes to surprising loved ones on occasions like Diwali, Birthday, Anniversary, Romantic, Valentines Day, Missing You and among many others. 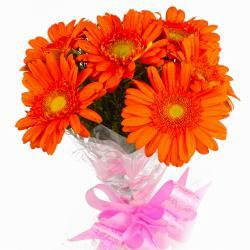 Product contains : Six Pink Color Gerberas with green fillers in Tissue Wrapping with Ribbon Bow on it.